Will Thomas led Valencia to the fourth EuroCup title in the history of the club. 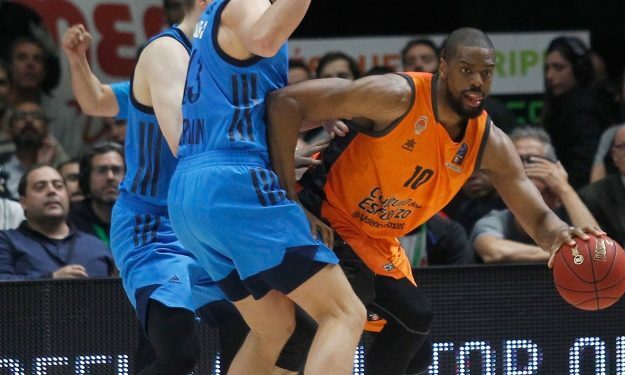 Valencia forward Will Thomas was named MVP of the 2019 EuroCup Finals following the victory over Alba Berlin in his team winning the title. Thomas averaged a team-high 17.3 points on excellent shooting (72% on 2-pointers, 66.7% 3-pointers), 4.3 rebounds, 2.7 assists for 21.3 PIR, as his team won the best-of-three series against Alba 2-1. The American player had 22 points and six rebounds in the Game 1 win plus 15 points in Game 3. By winning EuroCup Finals MVP, Thomas succeeded 2018 Scottie Wilbekin. The latter had led Darussaafaka Tekfen to the title in the Finals against Lokomotiv Kuban. Thomas is the sixth American player to earn the honors.